Many people unintentionally train their dogs not to come. There are many ways to do this, and you want to identify and avoid all of them. It should be obvious to anyone that calling a dog to you and then punishing him will discourage the dog from coming in the future. If someone called you to them, then slapped you when you got there, would you want to come the next time they called you? While the answer seems obvious, it is hard to control the urge to do just that when you come upon some "evidence of crime" in your house, such as a pillow torn to shreds or a warm puddle. Resist the urge or you will be training your dog not to come. This is the kind of situation we discussed in the first chapter, where anger can overcome reason and add up to bad training. The situation in which anger is most likely to cause trouble is when your dog runs away. For some reason, probably because you are being more careless, this always seems to happen when you are in a hurry. Instead of being on time for your appointment, you find yourself chasing your dog through the neighborhood for half an hour. You keep calling your dog, and he finally comes to you. That's when anger overcomes reason, and you start to punish him by hitting him, shaking him by his collar, or yelling at him. What have you really done? You've punished him for coming. This makes it less likely, not more likely, that your dog will come in the future. Nonetheless, some people persist in punishing their dogs in this situation, usually increasing the punishment with each occurrence, even though it is not working. 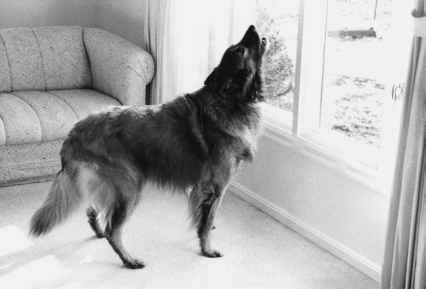 Taken to extremes, this creates a dog who runs away and then will not come home out of fear of punishment. What should you do if you find yourself in this situation? Chalk it up to experience, promise yourself to never let it happen again, grit your teeth, and praise your dog for coming. Okay, you don't have to be enthusiastic. But you have to make sure your dog knows it is safe to come to you should it happen again. Most situations of unintentional punishment are more subtle. Punishing your dog for coming can be something as simple as just always calling your dog when you want him to come inside. While this may not seem like punishment, if your dog associates being called with his playtime being ended, he is unlikely to want to come. Or perhaps you call him to lock him in his crate before you go to work. Avoid calling your dog for anything he finds unpleasant, such as cutting his toenails or giving him a bath. Of course, you have to somehow get your dog to come inside, or into his crate, or into the bathtub. There are two solutions to this dilemma. The first is to call him to you, preferably some distance from the back door, the crate, or the bathroom (the final destination), reward him, spend a few minutes petting him, and then lead him by the collar to where you want him. 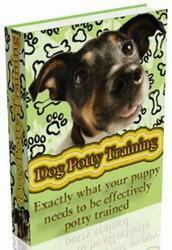 The second method is to teach your dog a separate command that means to go inside. That way, your command to come is kept separate from any bad associations and is ready when you need it for emergencies. That's what I do. The command I use is "inside!" For the crate, I use "get in your crate." These commands I can back up with force if my dogs don't obey, and this will not destroy their pleasant associations with the word "come." I use "inside" for coming into the house and for getting into the car. My dogs seem more willing to obey the inside command than the come command in those situations. It almost seems as if they were confused when I called them to come when they knew that what I really wanted was for them to go inside. Of course, when they come into the house or get in their crates, they often receive a reward. A variation of training a dog not to come is teaching him to play keep-away. We discussed this in chapter 5, when you learned how to teach your dog to come, sit, and let you touch his collar. However, it bears repeating: Don't lunge and grab your dog, and don't chase him when you call him.